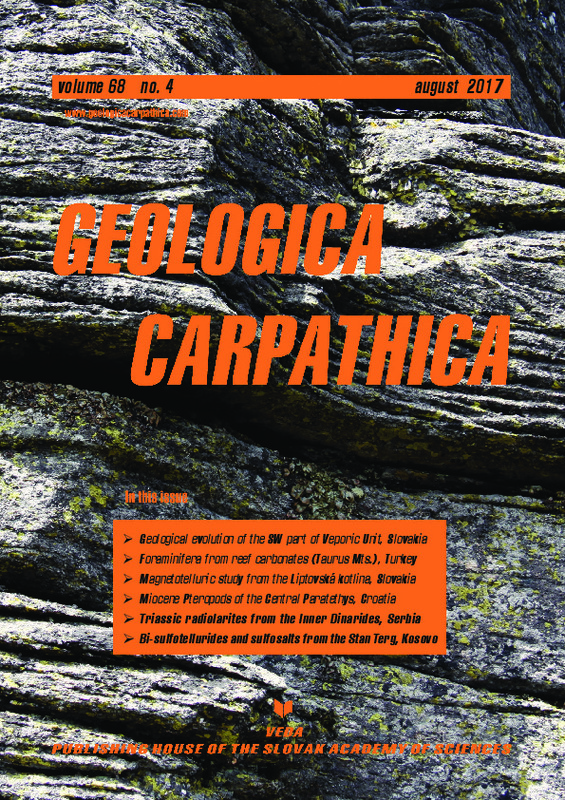 Abstract: Deep marine Miocene deposits exposed sporadically in the Medvednica Mt. (northern Croatia) comprise pelagic organisms such as coccolithophores, planktic foraminifera and pteropods. The pteropod fauna from yellow marls at the Vejalnica locality (central part of Medvednica Mt.) encompasses abundant specimens of Vaginella austriaca Kittl, 1886, accompanied with scarce Clio fallauxi (Kittl, 1886). Calcareous nannoplankton points to the presence of NN5 nannozone at this locality. Highly fossiliferous grey marls at the Marija Bistrica locality (north-eastern area of Medvednica Mt.) comprise limacinid pteropods: Limacina valvatina (Reuss, 1867), L. gramensis (Rasmussen, 1968) and Limacina sp. Late Badenian (NN5 to NN6 nannozone) age of these marls is presumed on the basis of coccolithophores. Most of the determined pteropods on species level, except V. austriaca have been found and described from this region for the first time. New pteropod records from Croatia point to two pteropod horizons coinciding with the Badenian marine transgressions in Central Paratethys. These pteropod assemblages confirm the existence of W–E marine connection (“Transtethyan Trench Corridor”) during the Badenian NN5 nannozone. Limacinids point to the possible immigration of the “North Sea fauna” through a northern European marine passage during the Late Badenian (end of NN5 – beginning of NN6 zone), as previously presumed by some other authors.